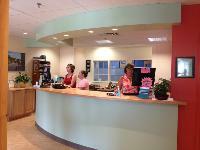 At Mountain Health Center, each patient has a designated provider of choice to oversee all care. We make referrals to specialists and coordinate care as needed. We also work with home health services to provide in home support to our patients when needed. The Mountain Health Center is a medical home; a place where people can engage in coordinated and comprehensive health care in a comfortable, caring and relaxed environment. Comprehensive care plans which include patient generated goals and specialty referrals, as well as coordination of care are integral to our practice. We take care of you when you are ill and work with you to achieve health, recognizing that your health care demands your involvement.